Celtic and Eastern European folk music served shaken, not stirred. Nadia Tarnawsky has been studying Eastern European singing techniques for nearly two decades with teachers Mariana Sadowska, Lilia Pavlovska, Merita Halili, Maria Bebelekova and Donka Koleva. Brandon Vance is a two-time Open U.S. National Scottish Fiddle Champion and the youngest player ever to attain the national title at age 14. Brandon has performed with numerous Celtic artists including Alasdair Fraser, Natalie Haas, Carl Peterson, Maggie's Fury, and Clumsy Lovers. The practitioners of the ancient art of alchemy often sought to transform or combine a variety of elements. 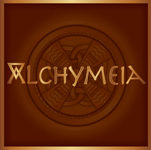 In a similar manner, the members of the ensemble Alchymeia gather folk song ingredients from various cultures and arrange them in new and fascinating ways. 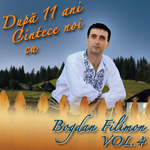 This debut album features folk music from Ukraine, Scotland, Albania, France as well as original compositions.